I really fell out of love with baking a few months back. I found myself feeling a bit uninspired when making the usual brownies and cookies I always swayed towards. 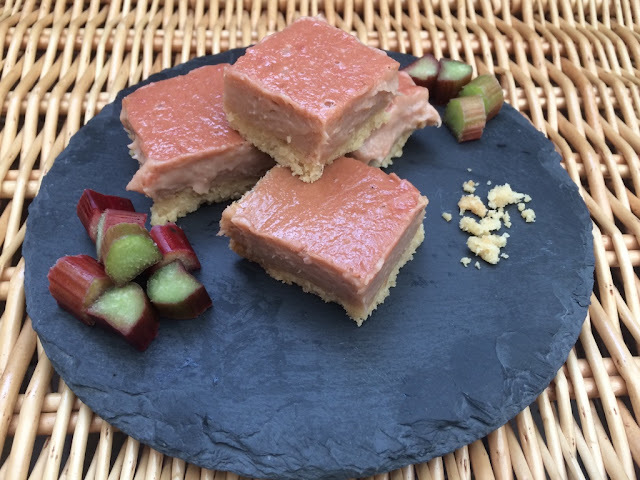 With the end of summer pretty much here, we had some rhubarb leftover in my parents vegetable garden so I decided to do something a little more adventurous than make a crumb - enter rhubarb and ginger slice. 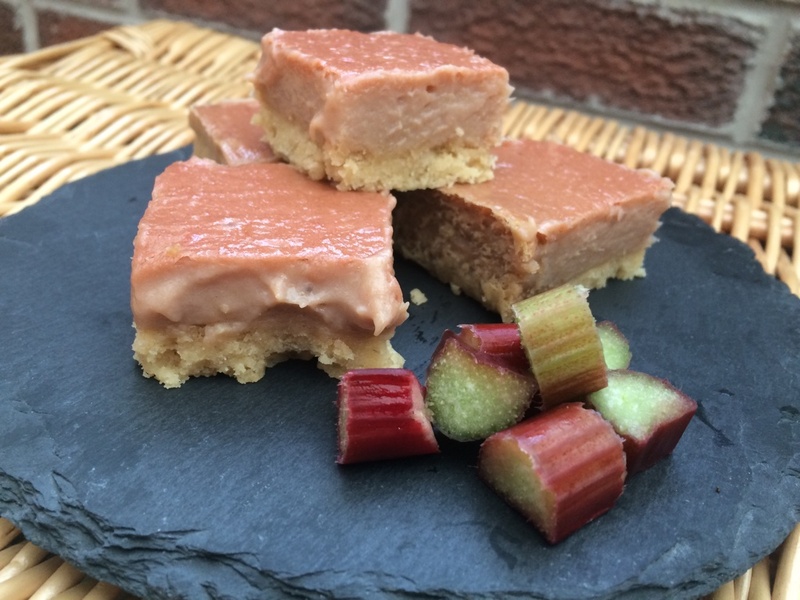 The sour rhubarb works so so well with the sharp ginger and sweet base of the slice. 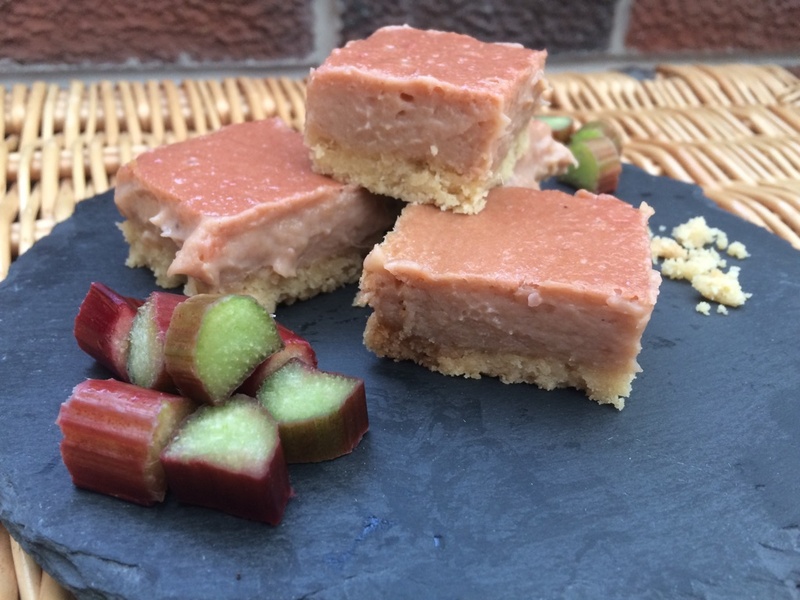 All you need is around 400g rhubarb so this is a great recipe to use up the rest of what's about to disappear in your garden! Let's get started...preheat your oven to 180 (fan assisted). Line your 20x20 baking tin with baking parchment. Grab a medium-large bowl and whisk together your butter and sugar. It should be light and fluffy. Add the flour and salt, mixing until it forms a dough. Add the dough to your lined baking tin. Press it down with a fork so it is an even base. Pop into the oven for 10-15 minutes (or until lightly browned). When done, put to one side. For the topping - put your chopped rhubarb into a medium sized saucepan with a tbsp water. Also add the chopped stem ginger and brown sugar. Place a pan lid on but make sure you stir occasionally. This should take about 10 minutes to soften. Once your rhubarb mix has softened, allow it to cool for around 10 minutes so it is lukewarm. Once cooler, add to a food processor or mini chopper. At this point, turn the oven down to 150. In a separate bowl, whisk together the eggs and lemon juice. Add a little at a time to the chopper/processor, blending for 30 seconds each time. Finally add the cornflour and blend for 30 seconds of so to avoid lumps in the mix. Pour the mixture over your cooled base. Place in the oven for 25-30 minutes until the mixture sets. Allow to cool before slicing so the mixture can set on top. You should get around 16 slices out of it. This is such a tasty recipe, even for rhubarb haters. The ginger and sugar combination, make it sweet rather than sour!